The Heli 6 Ton Wheel Loader is a powerhouse when it comes to productivity and reliability. Thanks to its low initial cost, low monthly instalment, low ownership costs and low maintenance costs. 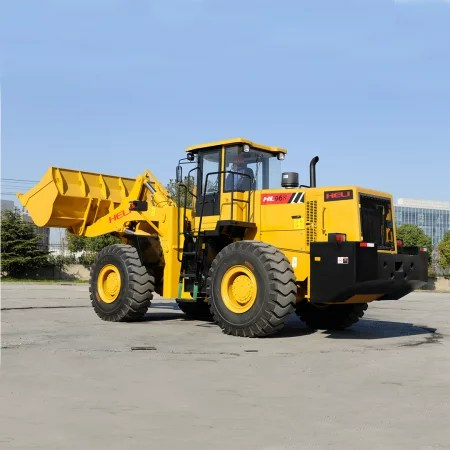 With its simple reliable engine, high power air conditioner, large cabin with panoramic view hydraulic systems and ergonomic buttons, it is designed for heavy-duty operation in high ambient temperature. You can choose a Heli Wheel Loader with various engine configurations. Give us a call and we can help you choose the ideal wheel loader that is suited for your requirements and your budget.